Susan, that’s a nice picture, but those are not 15-lb shells — I think they’re 15 INCH shells. The British 15-in. howitzer shells weighted 1,400 lbs. I’ll bet it’s a 15-lb dog, though! 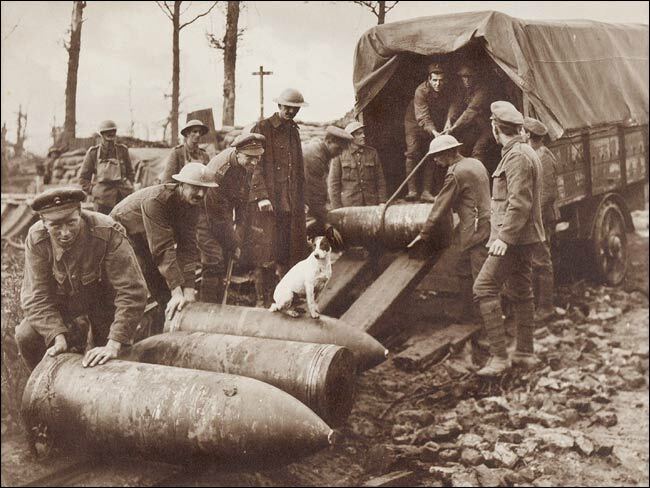 Men loading shells of some sort, with a dog of some sort.